The fourth part in the on-going article series of top 10 ways to make money online is doing micro tasks online or micro jobs online. As the name suggests, these are small tasks that pay you on completion ranging from $0.05 to $10 depending on the time and skill each task requires. Micro tasks are specifically useful for those who don’t want to get into the complexity of freelancing platforms that require you to maintain a profile with updated portfolio. Some freelancing platforms even require you to take a test for each skill which is something that will take a bit more dedication from the freelancer’s part. You sign up for an account at one of the top micro task platforms. I will list a few of my favorites below and will do a detailed post for each of those in some later article. Once your ID is approved through a link you receive in your email (these days most of them require you to follow this step), you can either start bidding or creating a gig depending on the type of the micro task platform you have signed up for. Platforms like Fiverr require you to create gigs. In the gig, you display your service details and set a price for it. When a potential customer lands on your gig page and orders for the service, you get paid for successfully completing it. Although I haven’t personally worked on Fiverr as a freelancer but I have purchased tons of gigs that have made my life easier. The best thing is that you can order a gig based on the reviews and previous work done so there is a certain guarantee on the work being provided. There are other platforms like MicroWorkers and Amazong Mechanical Turk where customers showcase the kind of services they want to get done. It makes even easier for a freelancer as there is no need to setup a portfolio. However, some tasks would require you to complete your profile and verify phone number. You can simply fulfill the requirements posted by the customer and get paid. It’s simple as that! 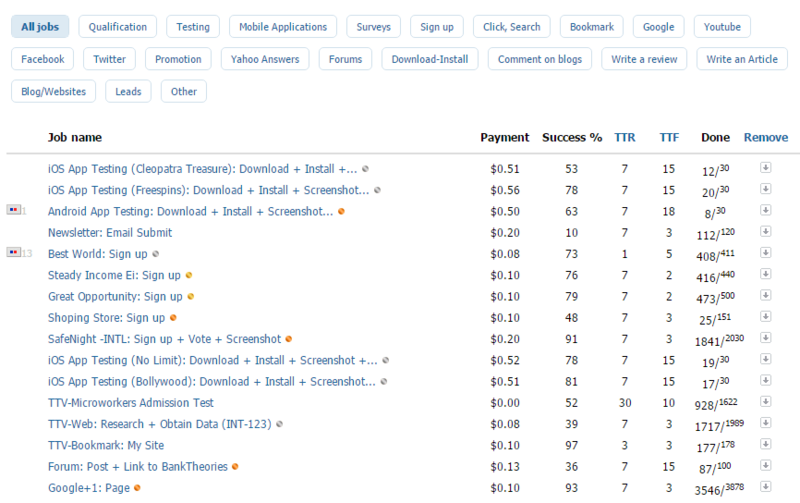 A screenshot of mturk dashboard where a number of micro tasks are available to be completed. I had setup an account a few weeks back on Microworkers and there were a number of micro tasks that were being shown in my dashboard. If you are an absolute beginner or someone looking to make some cash in spare time for small tasks, this is your right selection. Most of these tasks are either related to singing up for a forum, creating an article on an existing blog or doing filling up an online survey. So the take here is that micro tasks or micro jobs do not pay the amount of money that other freelancing platforms pay but they are easy to be completed without a lot of effort. Have you worked on a micro jobs website before? What did you like about it the most? Let us know through comments. I am an Islamabad-based digital media professional and founder of Centangle Interactive. Apart from this 9-5 commitment, I work on the Humans of Hunza project and run various blogs like GBee, All Things Hunza and Earnistan. I'm also the co-founder of Organization for Educational Change (OEC), currently the largest youth-led NGO in Gilgit-Baltistan & Chitral (GBC). I love to take photos and play Rabab.